CiTIUS organizes the 23rd Edition of Euro-Par, ranked as a Core A meeting in Computer Science and top tier (Rank 1) conference in the University of Alberta ranking. An annual high-impact series of international conferences aimed to promote and advance in all aspects of parallel and distributed computing. 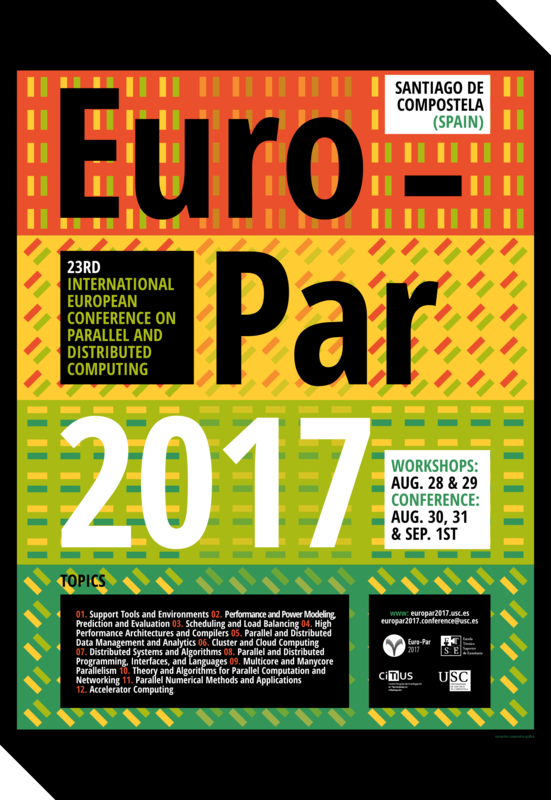 This year, CiTIUS organizes the 23rd International European Conference on Parallel and Distributed Computing (Euro-Par 2017), which will cover a wide spectrum of topics: from algorithms and theory to software technology and hardware-related issues, with application areas ranging from scientific to mobile and cloud computing. Euro-Par will provide in Santiago a forum for the introduction, presentation and discussion of the latest scientific and technical advances in the area, extending the frontier of both the state-of-the-art and the state-of-the-practice.